I want to personally thank you for your support of and your excitement for Stand Up Monte! Since you're reading this, it's obvious that you have tried the effect and know how powerful it is. In this Stand Up Monte Expansion Pack, I want to give you encouragement and provide you with a variety of options that you can incorporate into the routine. Here you will receive new, updated techniques and exclusive tips to take your performances of Stand Up Monte to the next level. In addition, I teach several bonus tricks and effects that you can use to make this powerful routine fit almost any situation. I even threw in a refill set, so you can get started right away! 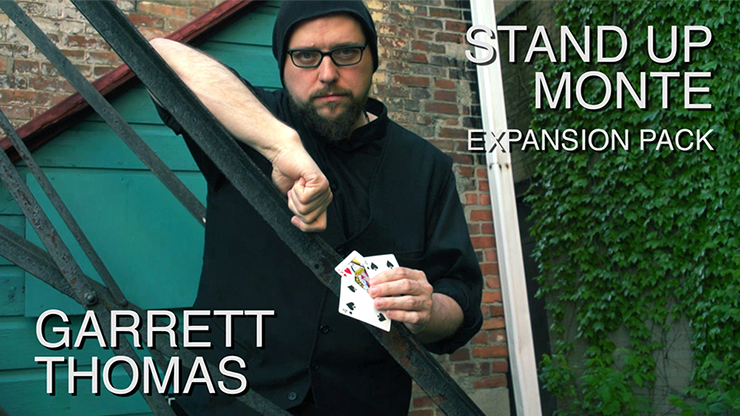 So, be in the moment and make that moment magic with the Stand Up Monte Expansion Pack. PLEASE NOTE: This DVD is an expansion pack. I DO NOT teach the base routine here.